An unusually diverse group of men and women will judge this year’s IDEA Awards, as the organization seeks to retool its mission. Not too late to enter: Deadline has been extended to Feb. 15. A panel of 10 men and eight women has been chosen as the jury for the 2010 IDEA Awards, says John Barratt, president and CEO of Teague, and IDSA 2010 Jury Chair. 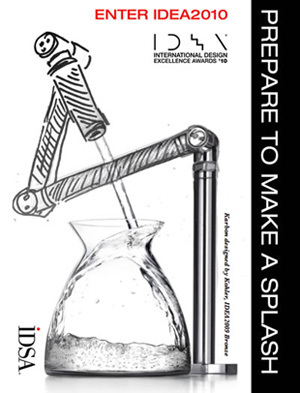 Drawing from 38 countries, the IDEA (International Design Excellence Awards) program, sponsored by the Industrial Designers Society of America, is a top international competition honoring design excellence in products, ecodesign, interaction design, packaging, strategy, research, and concepts. The diverse group reflects the organization’s commitment to fielding a globally-sourced jury. “The competition is open to international entries, so we made sure to have jurors from the U.K., France, Germany, Japan, and the Netherlands, and others who have had global work experience,” Barratt said. The jury also includes student representation, given the competition’s large number of student submissions. The deadline for the competition has been extended to February 15, says Barratt, to encourage entries. Judging will take place in April, with winners announced in the July/August issue of Fast Company, IDSA’s Media Partner. 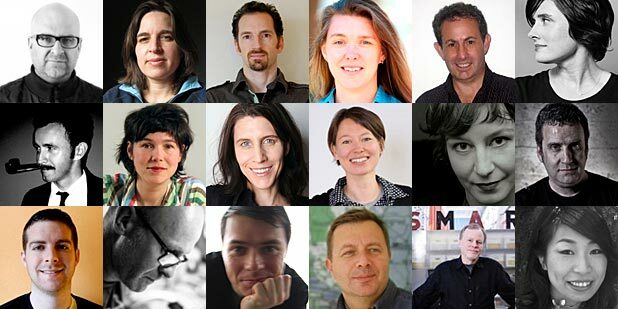 Winners will be honored at this year’s IDSA international conference, to be held from August 5 to 7 in Portland, Oregon. Eric Anderson, IDSA President, says the site of the conference will make for a particularly lively meeting, and a perfect pairing with the event’s theme, “Do It Yourself” Design. IDSA’s leadership team has spent a significant amount of time this year discussing how to broaden the organization’s reach and appeal to a younger audience, and to designers working in small and medium-sized firms. Anderson says the upcoming regional conferences will help communicate the organization’s strategic plan. “We’ve celebrated too narrow a slice of design,” he says. Going forward, IDSA will take a look at design across the board, exploring not just product design, but experience design, interactive design and design thinking.